Reflecting an ace level of business elegance, Y. Sudhir Kumar Shetty raised himself to be the Executive Director and President – Global Operations of UAE Exchange, most diversified remittance companies of the world. He infused his intuitive tech-insight and operational prowess, leading the company to gain momentum by leaps and bounds. Law and commerce gradation has given an upper hand in business trajectory, conducive to the upbringing of a culture that aerated with product improvement, customer relationship management, brand positioning and quality bench-marking. Episodes of success followed by Mr.Sudhir from the day one with Dr. B.R. 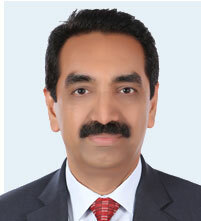 Shetty, then Managing Director & CEO of NMC Group of Companies. He joined as an Internal Auditor of the NMC Group of companies soon elevated to Head UAE Exchange, the Remittance & Money Exchange Company of the NMC group. Multifarious disposition frilled with expertise in areas of Leadership, Business, Philanthropy, cultural inclination, mingled with patriotism, fostering Education and Sports creates a distinct aura that enlightens all the role he takes up.